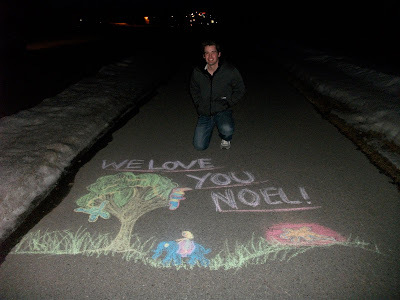 Do you remember me saying before that I got 3D Chalk for my birthday? 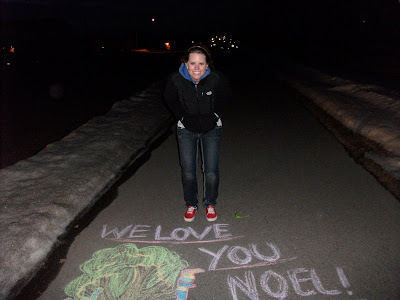 Well I finally got a chance to show off my artistic skills and let the inner kid come out. 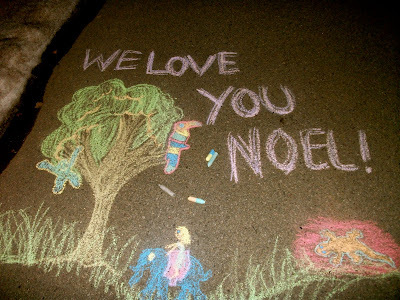 Mike and I decided to dedicate our artistic skills to Noel who has left us to go and bless the people of Italy. 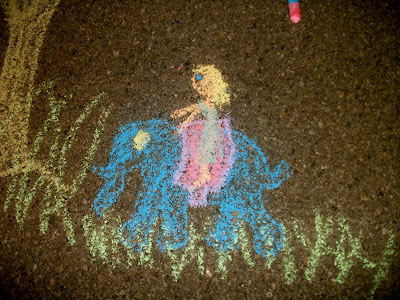 Yes I am a true artist at heart and I specialise in chalk art.